1. 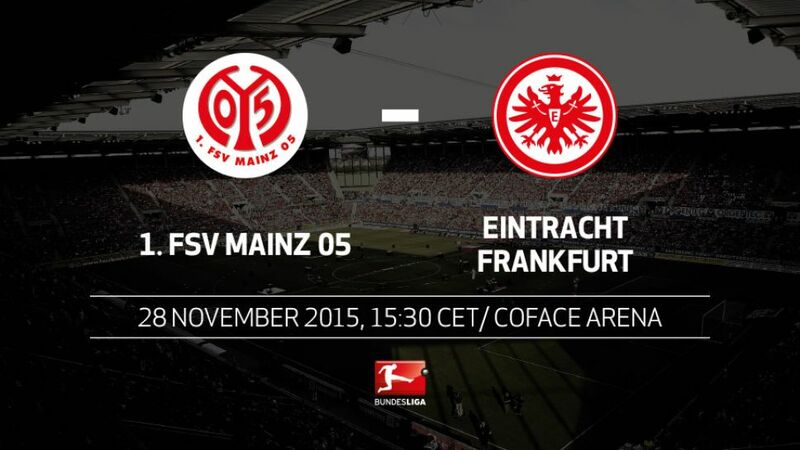 FSV Mainz 05 welcome local rivals Eintracht Frankfurt in the first Rhine-Main derby of the season this Saturday (kick-off 15:30CET/14:30GMT). Mainz are on a three-game unbeaten streak (one win, two draws) for the first time this season.If they can avoid defeat again this weekend, they would match their best league run under Martin Schmidt.Frankfurt have won just one of their last nine games, picking up just seven points - only SV Werder Bremen have taken fewer points (six) in the same period.If Eintracht beat Mainz by one goal, the two sides will be locked together both on points and goal difference.Mainz were promoted to the Bundesliga for the first time in 2004. Since then, they have gained 411 top-flight points compared to Frankfurt's 379, with both having played 319 matches.The corresponding fixture last season was Schmidt's first as Mainz coach. His side won 3-1, despite falling behind.That made Schmidt the first Mainz coach to win on his Bundesliga debut – Thomas Tuchel and Kasper Hjulmand both drew, while Jürgen Klopp lost.